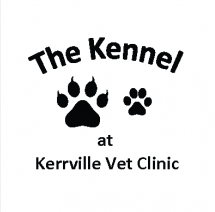 The Kennel at Kerrville Vet Clinic provides a loving and safe environment for your pets. We offer climate controlled indoor/outdoor Kennels for larger dogs and a separate room for smaller dogs. We have a private cat room with single cages or condos available. Boarding includes Science Diet dry food and bedding. You are welcome to bring your own food with feeding instructions plus any favorite toys and blankets to make your pets stay more comfortable. We will be happy to administer medications for an additional charge. One-on-one playtime is available in 15 minute blocks for $6.00. Discounts are available for multiple pets boarded in the same run. Come by The Kennel and meet our groomer, Mary Beth. She has 14 years of experience as a groomer. She treats each pet as if they were her own. Mary Beth will be happy to discuss the specific grooming needs of your dog or cat. Grooming prices start at $40.00 for a small dog. Grooming fees include a haircut, bath, and nail trim. 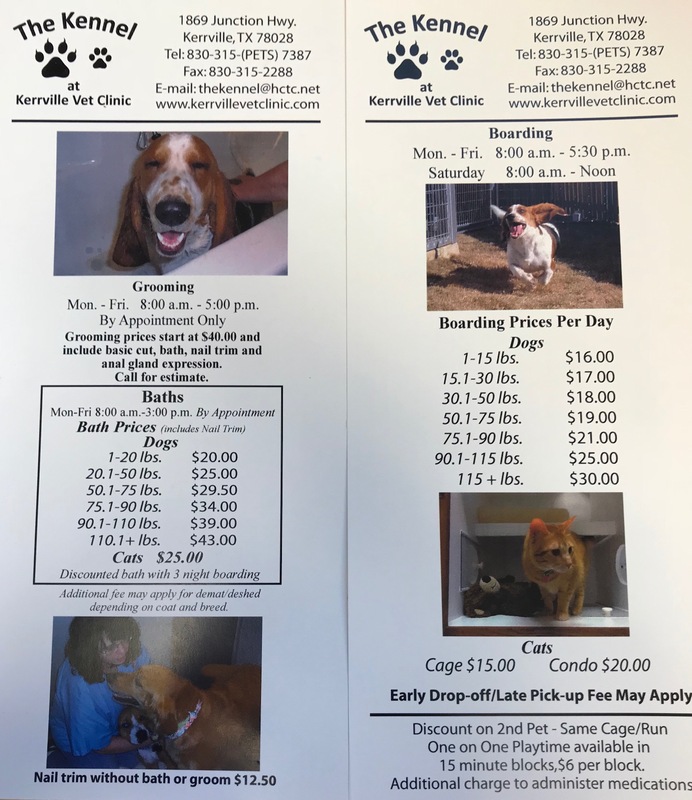 Stop by and let our staff give you a tour of our boarding Kennel and grooming facility.